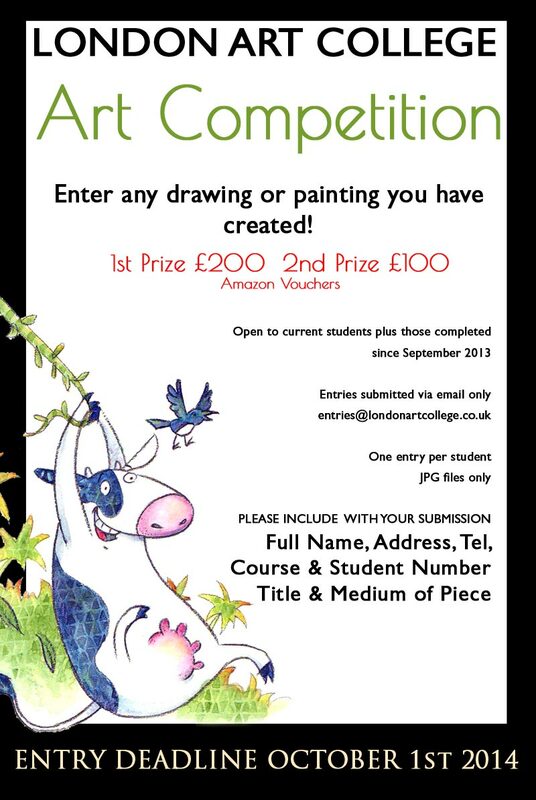 LAST CHANCE – ENTER NOW!! We always love to hear from students who have completed their course to hear what they are getting up to in the next phase of their studies. Ruth Arnold is doing exceptionally well on her Graphic Design/Illustration degree and has very kindly written about her work below. We are absolutely thrilled and wish Ruth the very best of luck with her studies. I live in Devon, with my partner Steve, and my very large dog, Finn. I’m the sort of person who has always wanted to learn to draw, but have always lacked confidence. Whatever level you are, there are always people who make you think “Thats amazing. I will never, ever, be able to do that”. The Graphic Design Art course has been brilliant. As I neared the end of the course, I found myself thinking, I really want to keep going… I’m now a few months into a Graphic Design/Illustration degree – just getting started – but the London Art College course has been really good grounding. This is my attempt to make the shift from pencil sketching to colour. This is for a simple point of display picture for a greengrocer. I decided to go very pared down, and hopefully evoke a bit of a Farmers Market type feel. 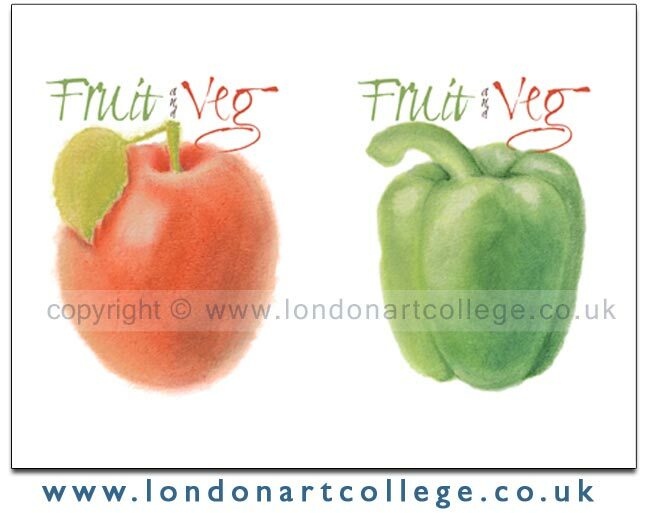 I drew the fruit with pastel pencils, onto light coloured paper. Daft as it sounds, as its basically smudgeable pencil, which is less of a leap than paint! Next I photographed them, and used Photoshop to fully whiten the background, and add the lettering. The font is called Clive Barker (available on www.dafont.com) Hopefully the similar size of the apple and pepper, combined with the complementary colours pulls them together. 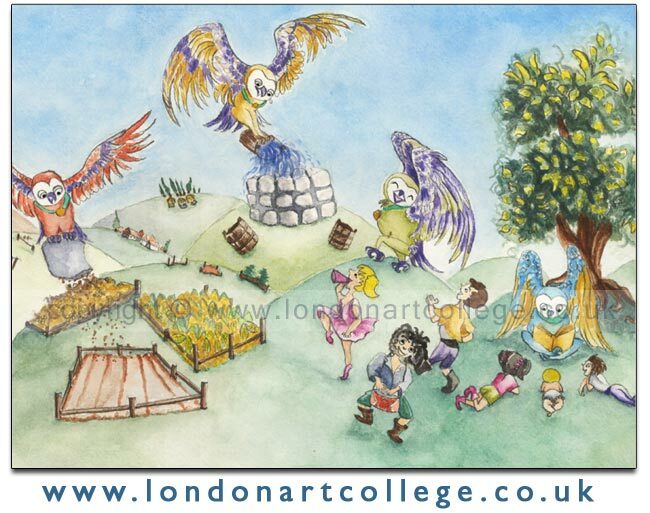 This wonderful watercolour painting was created by Astrid Hill who studied with Jan Nesbitt on the Watercolour Diploma Course. There are lots of lovely techniques used here from wet in wet washes, flicking paint for foliage and blowing the paint through a straw for the branches. A wonderful painting full of experimentation. Paul Harris is currently studying the Painting and Drawing Diploma with Paul Weaver and has produced this wonderful oil painting of a sunrise in Canada. 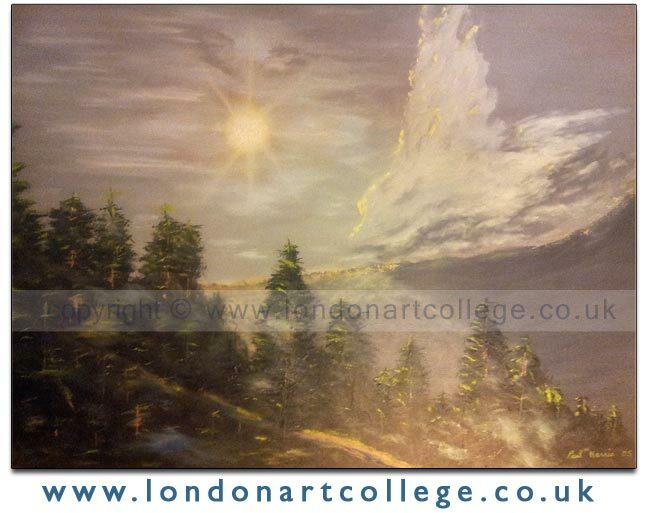 Paul has very kindly written about the painting and his course below. This painting is based on a scene in Northern Ontario, Canada. This is some of the most amazing landscape you would want to see. I made a sketch on scene and took pictures as well. In my studio I worked from the pictures in various phases until its completion. I only recently further embellished this since you will see a 2005 date on the painting. One of the many things the Drawing and Painting diploma program has helped me learn is that I am free to use my artistic license where it can improve on my work. 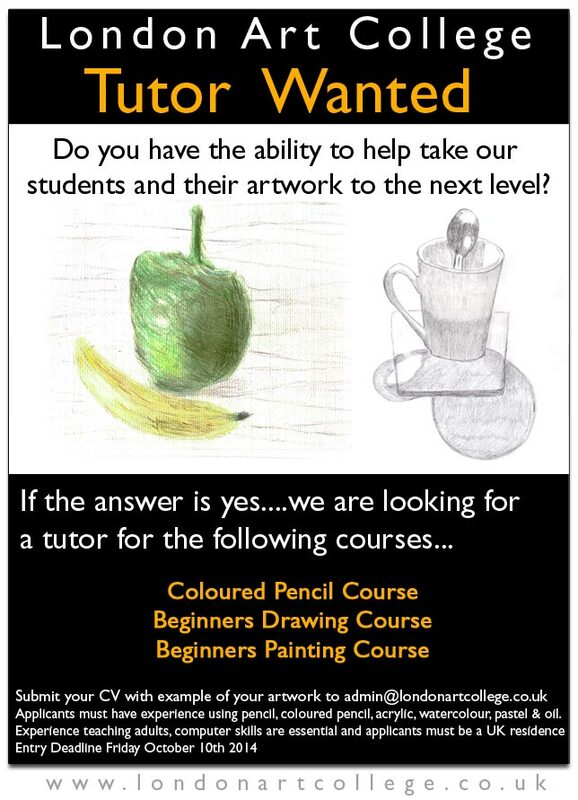 Speaking a little more about this course, the drawing aspect has really shown me that you can be a better drawer than you think. I am mostly into painting but have through this course realized that also love drawing and I think that the two really go hand in hand. 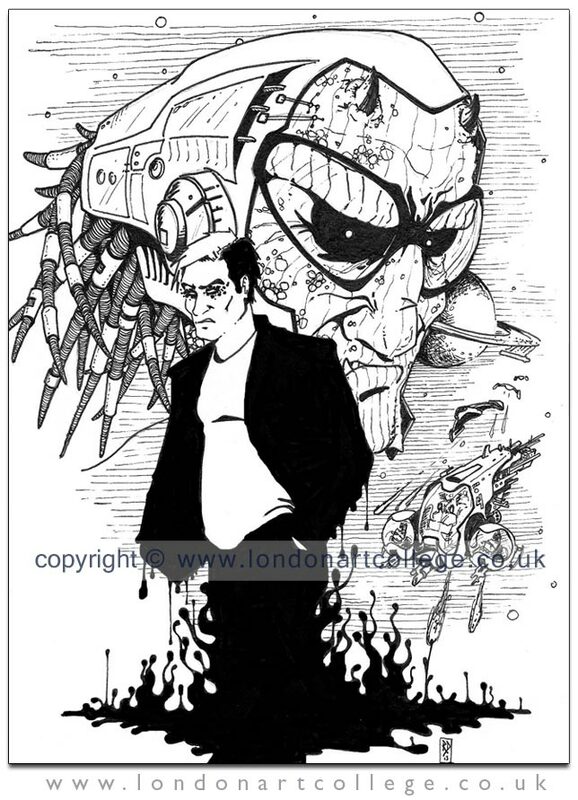 Rory Donald has created this wonderful illustration for the Sci-fi Course in pen and ink. The concept and composition are excellent. This wonderful painting is by Cheryl Day, a student who studied on the Oil Painting course with tutor and professional oil painter, Alan Dedman. 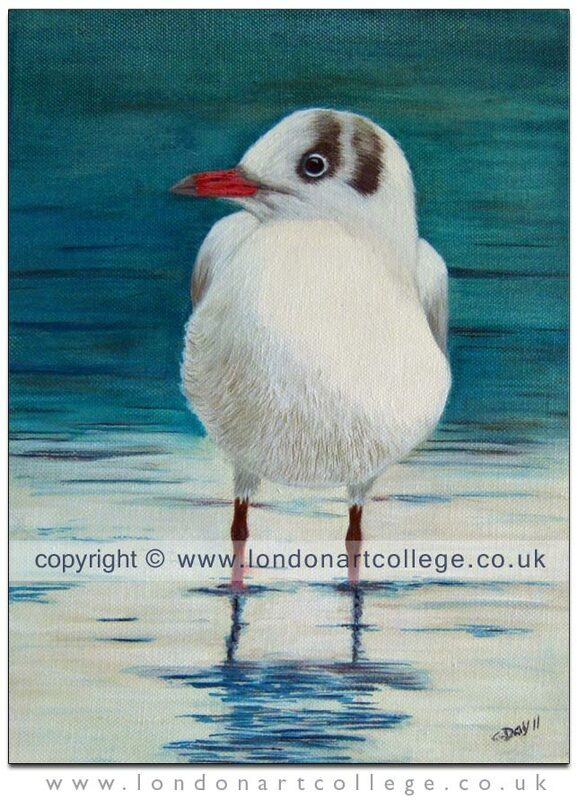 Cheryl has painted what essentially is a very simple subject and turned it into the most beautiful oil painting, creating superb detail on the seagulls chest and most importantly including the light on the right hand side which helps to make everything three dimensional. Overall a very successful study! 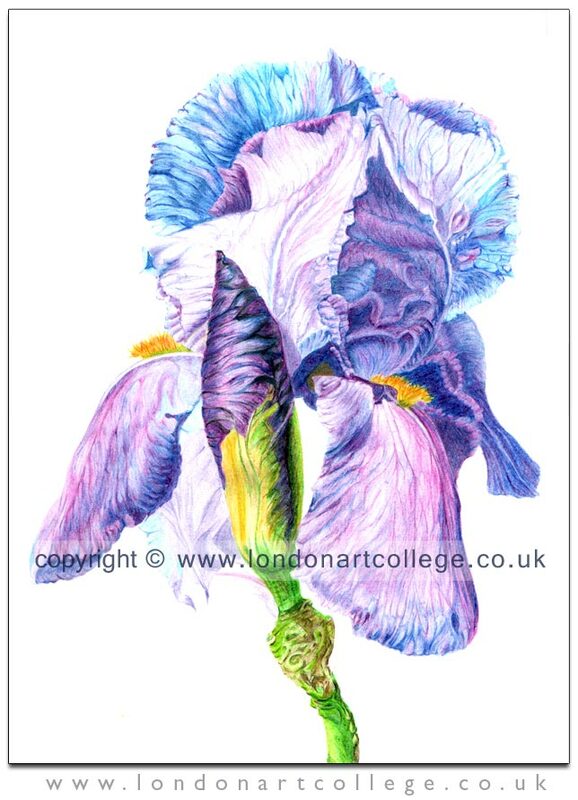 Here we have a beautifully delicate piece of artwork drawn in coloured pencil by Keith Galliford. 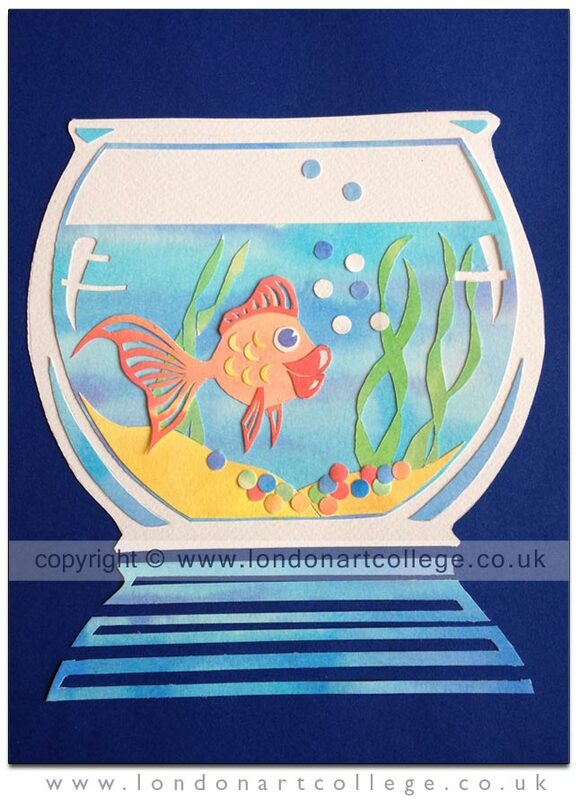 Keith is studying with Julie Douglas on the Coloured Pencil Certificate Course. Coloured pencil is a wonderful medium to experiment with, the outlay is relatively inexpensive with only needing a few coloured pencils and some good quality paper to get you started. Plus you don’t need a lot of room to draw and it can be packed away easily if you are working on a kitchen table or similar. If you want to give it a go and need a bit of guidance why not pop over to our course page and once enrolled Julie will help you get started! 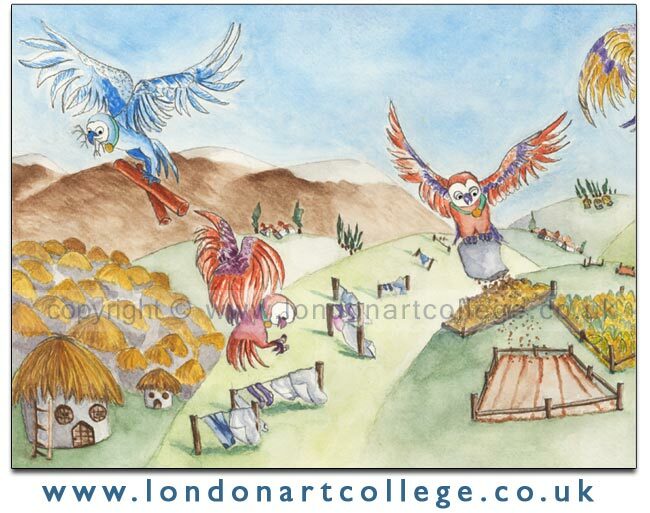 Zeina entered this piece in a recent competition that we posted for the Bear Cub Gallery. Her artwork is absolutely wonderful and we are really pleased to share it here along with some words from Zeina. When first I thought about drawing something different than all the submissions we are asked to do, I wanted to do something unique and something I have never worked before. So I thought about something free to fly and yet so sweet. I have always loved owls although lots of people think they are bad luck I think the opposite and I wanted to show a kind side of the owls and nothing is impossible, why not? Owls can be helpful and protect the people they love, so I named the piece ‘The Guardians’ hope people see and learn about owls. Student Heather Robertson has created a wonderfully simple, yet hugely effective collage for a recent submission on the Illustrating Children’s Books Diploma. 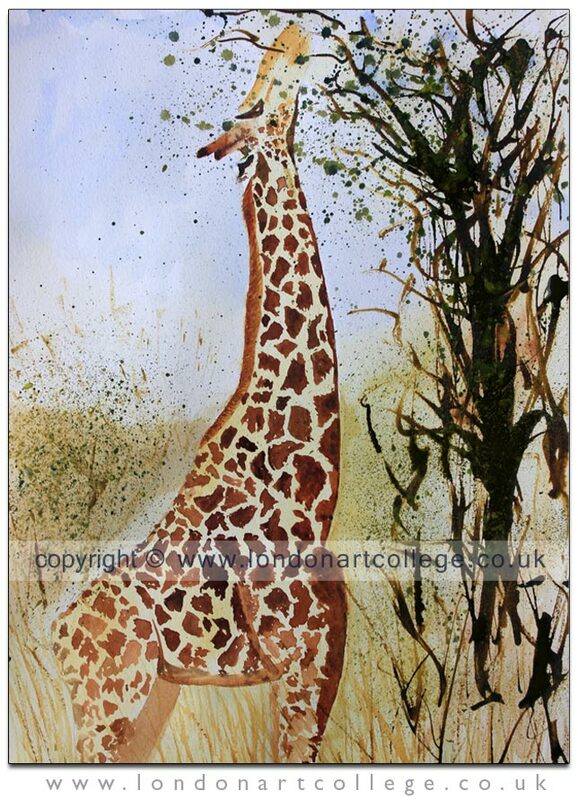 The wet in wet washes Heather has created are superb and the overall composition and colour scheme works beautifully. Congratulations Heather on a delightful illustration.